My fridge is a scary thing! Visitors who open it are taken aback …. they turn and look at me for an explanation. The only thing I can say is "its got nothing to do with me" and then they give me that look of pity and then empathy. 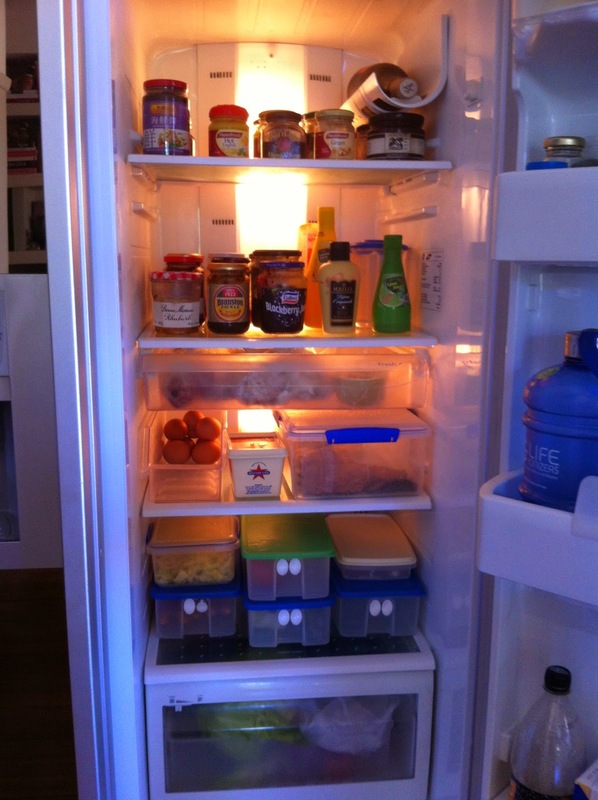 I live with a fridge obsessive, what more can I say. By the end of christmas with all the left overs it did get a bit dishevelled - but was soon back to normal thanks to the fridge obsessive! I knew you'd be going all out this Christmas. 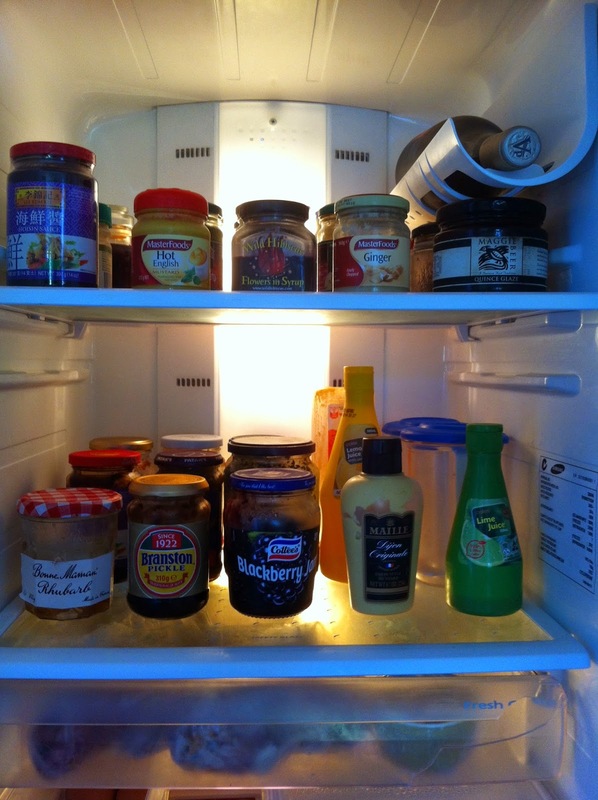 But your fridge doesn't look too bad MV....in fact, it looks quite tame!!!! I did drunken cherries and pickled cherries this year as gifts....very popular! Now a late New Year lunch with my brother and his wife is coming up.....I think a terrine and 'an ancient grain salad' will be on the menu! And praps a cold soup.....gazpacho maybe! My fridge is never out of order Robyn, the fridge nazi sees to that, but I have to say that this photo was taken in the first half of december and I forgot to post it - I think I only just scraped into Belleau Kitchens little fridge challenge. Drunken cherries are right up my alley! You are the best at organization! We got a new fridge over the holidays so I've been trying to do a better job at it! Good luck with the new purchase - start the way you mean to continue! Oh that's a beautiful sight! Wish I had a fridge nazi in my house!